Mercia 8 x 8 Overlap Apex Shed Double Door: The Mercia overlap apex shed uses your garden space effectively and is a great affordable option. The 8 x 8 Mercia shed features ethical FSC certified timber and ledged double doors for easy access when moving larger items. 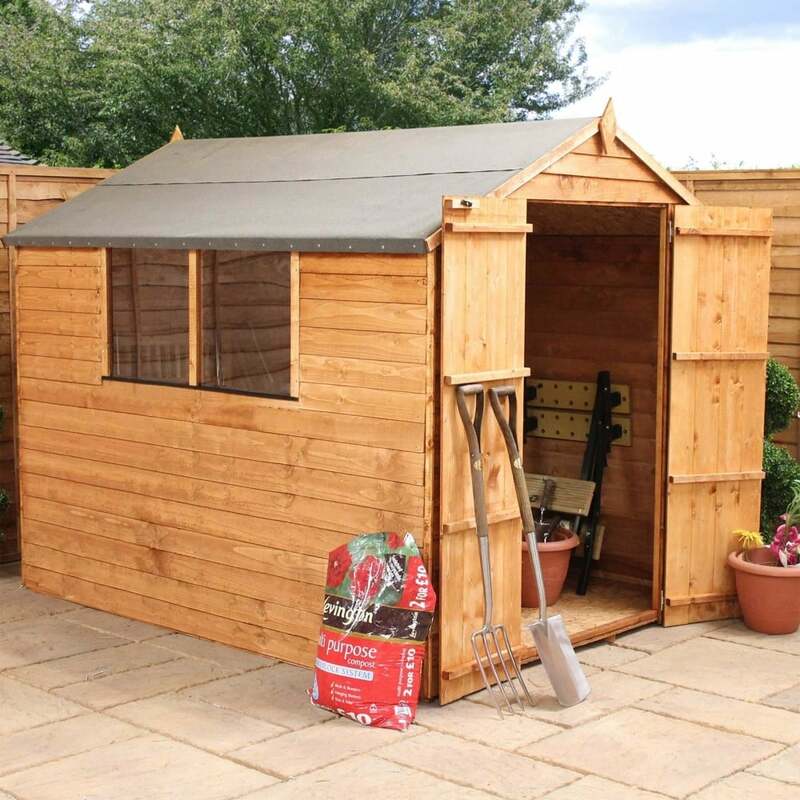 The Mercia 8 x 8 shed comes with 7mm square cut overlap cladding, 10mm solid sheet floor, 8mm solid sheet roof and 28 x 28mm framing for strength. The Mercia apex shed features two fixed shatterproof, styrene glazed windows makes it a safer option to glass.